It's NEVER to Late to Learn How to Swim!! The SLAP Coaches have a passion for the water...we love being in the water for fun and fitness. Our goal is to share that love and comfort with you so that you can enjoy the rivers, lakes, pools, and oceans that surround us in Central Florida. If you are an adult, 18 years or older, and would like to learn how to swim, please contact us to start working with our amazing coaches! Many people have a near-drowning experience in their lives. Maybe you've made a goal to conquer your fear of putting your face in the water. The SLAP Coach will get in the shallow water with you and lead you through a series of drills and exercises to help you learn to float and blow bubbles underwater. We have multiple pricing options for solo lessons or packages. Set up sessions 1-1 with a SLAP Coach or take lessons with your friend or spouse. Learn survival swimming to be more comfortable in the water parks, boat trips, paddling a canoe, water skiing and much more. Every day, 8 adults die in the United States from drowning and 1/3 of adults cannot swim the length of the pool. Lead by example...learn how to swim for your family and friends. Show them that you can learn how to enjoy all the water activities that Florida has to offer! You Are Ready to Learn How to Swim...What's the Next Step? Contact us to get in touch with a Coach and talk about your swimming history and goals. Decide if you want to take lessons alone or join one of our small group sessions (limited to 4 people or fewer). Make sure your swim suit and goggles are in working order. Shop locally at Gear For Multi-Sport or online at SwimOutlet. Complete the SLAP waiver online by clicking HERE before your first lesson. Show up to the pool with a smile and confidence! We are excited to change your life! 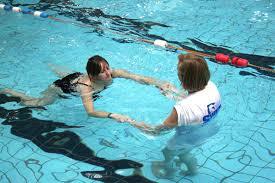 What Swim Lesson Do You Need? 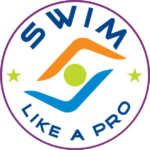 Can't figure out the right swim program or lessons to fit your needs? Don't worry...we can help you figure that out with a quick email and/or phone call. Send us a quick message and we'll be in touch ASAP.